Fantastic Food with the mix of yellow and orange color . It comes with 4 different pages home page, product list, product detail and shopping cart. 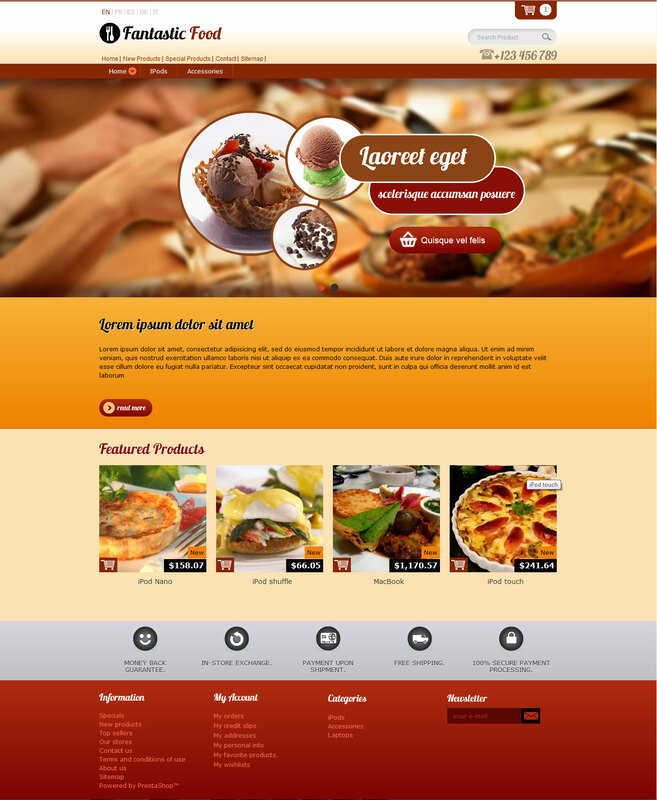 This design is suitable for restaurant, drinks and food. This entry was posted in Uncategorized and tagged art, blog, Design, food, psd drinks, psd food, psd restaurant on April 2, 2013 by devilthemes. 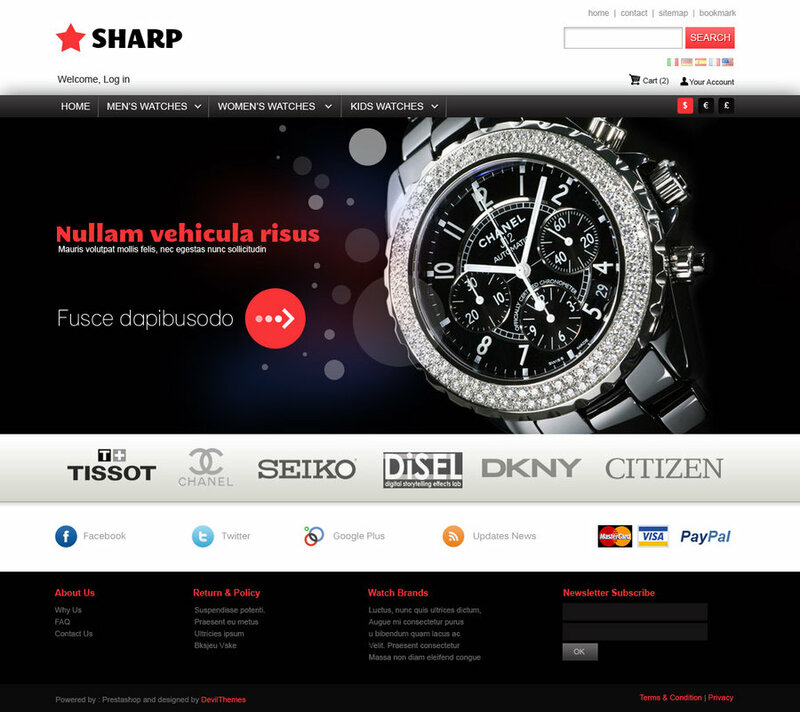 This entry was posted in Uncategorized and tagged black themes, fashion, prestashop theme, watch, watch theme on April 1, 2013 by devilthemes.